Above is a picture of the biggest load of cotton ever to leave from Houston. That is 1.28 million pounds of cotton that was loaded on Houston’s Buffalo Bayou in 1899. 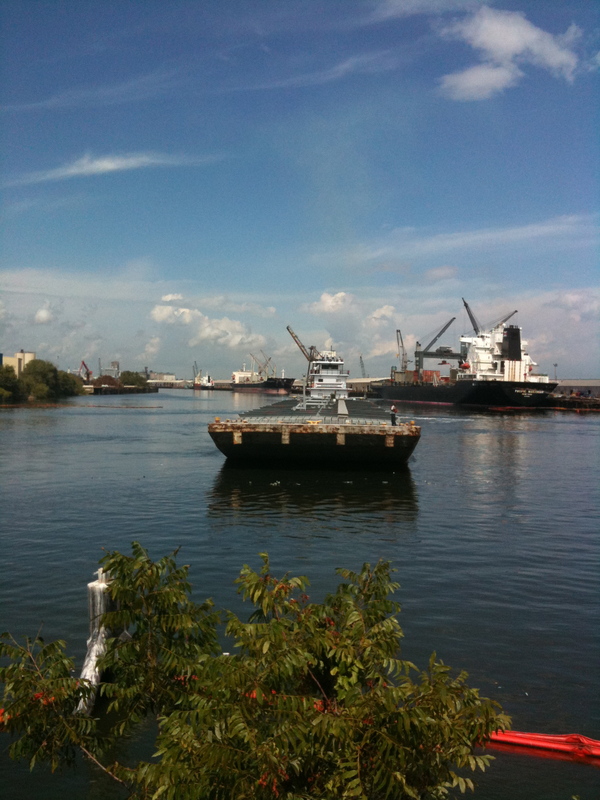 The cotton went down to Galveston Bay and then was transferred onto a ship bound for Boston. Thanks to my out-of-town readers for sticking with me as I’ve made a number of posts on local politics of late. I figure I have the platform so I’d might as well use it. I’ve got a bunch of ideas for the blog after our Houston city elections are over. And I’m always open to ideas from readers. I will also take guest posts or pictures that you think are interesting. Above is the painting Icebound Lake Boat. It was completed by the artist Charles Burchfield in 1924. Mr. Burchfield is an artist I like. Mr. Burchfield lived 1893-1967. He spent much of his life in communities around the Great Lakes. While I’m glad for the abilities I have to communicate with others, it would be fun if I could paint the world around me as did Mr. Burchfield. Mr. Burchfield is seen–in some of his paintings– as a painter in the style of American Realism. A great book on that topic that discusses Mr. Burchfield is American Realism by Edward Lucie-Smith. Mr. Burchfield painted in more than one style over the course of his long career. Though the painting above might be seen as realism, I don’t quite view it as such. I see the portraying a real-life scene in a straightforward manner as a way of clearing the mind of distraction and creating the platform for metaphor and analogy. What I see above is a ship that is icebound now, but that is waiting for a thaw. I can think of things in life that seem stuck, but that may advance when better conditions arrive. Icebound Lake Boat is what we make of it. I guess that is why people sometimes say that art is what you make of it. With some hesitancy, I’m supporting Annise Parker for Mayor of Houston. Ms. Parker, our current Houston City Controller, is the best bet to address issues of importance to Houston’s poor and working class. Ms. Parker is the candidate most likely to pursue anything approaching a liberal and progressive agenda that involves social, environmental and economic fair play. Though all three serious candidates for Mayor of Houston are Democrats, each has run to the right so as to appeal to Republicans. It is not the fault of Democrats, and of people in Houston who could use help from government, that no credible Republican thought Houston important enough to run for Mayor. Into this vacuum , Ms. Parker and the other leading candidates have talked at length about crime and so-called fiscal conservatism. If you’re a Republican reading this please be clear—Annise Parker, Peter Brown and Gene Locke are Democrats. Nobody wants to be a victim of crime and it is the poor who are most likely to be victims of crime. Yet it must be noted that crime rates have been going down in Houston. It is one thing to address an issue that all people are concerned about. It is another thing to use that issue to obscure the facts and to deflect attention from the wide range of critical issues that have been ignored in this empty campaign. On economic issues, Ms. Parker’s occasional embrace of the “fiscal conservative” label has been disheartening. I was ready to write in support of Ms. Parker last week. However, I was given pause after the Parker campaign circulated a blog post written by my fellow blogger Martha Griffin. Ms. Parker’s campaign used Ms. Griffin’s post to appeal to so-called fiscal conservatives. Ms. Griffin’s post discussed how Ms. Parker had saved the City of Houston taxpayer dollars in her capacity as City Controller. That’s good. That is what Ms. Parker should be doing as Controller. However, fiscal conservatism is a philosophy of governance. It is about far more than how one executes the duties of City Controller. To confuse the two is to confuse the voter. Ms. Griffin was saying that Ms. Parker has done a good job as Controller. Yet it is hard to think that this is what the Parker campaign was trying to convey in circulating the post. Did Ms. Parker pitch herself as a fiscal conservative when she won the endorsements of the Houston Federation of Teachers, the Harris County AFL-CIO Council, HOPE Local 123 and the Service Employees International Union? Is this what we have come to in our majority-Democrat City of Houston? If I want a fiscal conservative, I’ll vote for a Republican. The fact that no credible Republican is running suggests that voters in Houston are not as receptive to a Republican message as our 2009 Mayoral candidates seem to believe. Still, the union endorsements and some aspects of Ms. Parker’s record provide hope that Ms. Parker offers more to the people of Houston than she’s been advertising in her campaign. Ms. Parker has done great work in helping low income residents of Houston gain access to banks. Ms. Parker has supported efforts by janitors in Houston to be better paid and to receive benefits. Ms. Parker has a personal history of fighting for the political and social rights of people seeking a rightful place in society. The Houston of 2009 is not of Ms. Parker’s making. We’re all trapped to some extent in a world we did not create. Ms. Parker must run a campaign that is mindful of Houston’s political climate. That said, there is also a place for courage and for leadership. This is not a place Ms. Parker has yet realized in this campaign. My hope is that Ms. Parker wins the chance to serve as our Mayor, and that her tenure is one dedicated to the aspirations and needs of all citizens of our city. This post can also be found at the Houston Chronicle where I am a featured political reader-blogger. I will not be voting for Democrat Ronald Green to serve as City of Houston Controller. Mr. Green owes more than $100,000 in taxes. The above link is to the Houston Chronicle. Here is how Mr. Green’s tax problems are reported in the Texas Watchdog. Mr. Green, an incumbent member of the Houston City Council, is the only Democrat in the three candidate race. The top two finishers on Election Day will advance to a runoff. It is not likely that any candidate will win a majority in the first round. I’ve written I would be voting for Mr. Green because he was the only Democrat on the ballot for City Controller. However, this was before I knew Mr. Green had not paid all his taxes. Mr. Green says he is resolving these issues. All right– Mr. Green does need to resolve these issues. However, the right time to do so is not in the final weeks before an election. This should have already been addressed. A city finance officer should be able to keep up on what he owes to the IRS. A Democrat should pay the taxes he owes was an example to all citizens. We can’t say others should pay all taxes owed when we do not. How will needed government programs be funded if people don’t pay all taxes owed? At my blogging space at the Houston Chronicle, where I’m a featured-political reader-blogger, I’ve been asked if I will vote for a candidate simply because he or she is a Democrat. No–Democrats do not have my automatic vote. In the City Controllers race I will leave my ballot blank because I can’t support the Democrat. In City Council At-Large positions #1 and #4, I will likely be supporting members of the third party Progressive coalition. I’ve often said that Democrats in big cities around the nation take votes for granted without always offering much in return. This does not mean I’ll be voting for Republicans. Republicans offer even less. What it does mean is that I’m open to other options. It also means that Democrats don’t get my vote without any questions asked. It might be hard to imagine given the popular and often correct notion of Texas as place where the little guy gets sand kicked in his face, but all Texas beaches are open to the public. The law in Texas says that people can come and set up shop with a beach towel and a good book all the up the point where the sand ends and vegetation begins. It does not matter who owns the land behind the vegetation line–All Texas beaches are open to the public. On the Texas ballot next week is a measure that would make this law part of our state constitution. This is proposition 9 on the ballot. Here is a Houston Chronicle story on this issue. This blog urges a yes vote on Proposition 9. 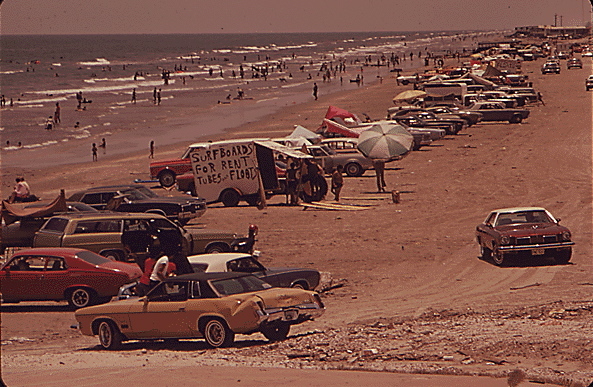 Let’s make sure that Texas beaches remain open to all folks and that this farsighted policy of beach access never changes. A good book on Texas beaches and the Texas coast is The Formation and Future of the Upper Texas Coast by John B. Anderson. I have this book at home and can vouch for it being worth your time. Mayan Elder Says World Not Ending In 2012—What The Hell Does He Know? A Mayan elder insists the world will not be ending in 2012. I don’t know what this guy is talking about. Everybody knows the world is ending on December 21, 2012. I’m just glad the world is going to go out by the hand of pagan Mayans and not by some right-wing rapture. That’s what Christians get for wiping out so much of Mayan civilization. Here is a 2012 news and information blog. There are many good articles at this blog. Balloon Boy Dad Has 2012 Fears. 2012 Solar Peak to be More Severe. This is all good stuff and I’ve added the 2012 blog to my blogroll. Folks–The gig is going to be up for all of us very soon. So please be certain to visit Texas Liberal as often as you’re able in the time we have left. After 2012 this blog is done. Here is some basic history of the Mayans from a website set up by Washington State University. I saw a black guy today in Houston driving some sort of souped-up car with a Confederate flag front license plate. Instead of a normal Texas plate at the front of the car, there was a plate with an image of the Confederate flag. 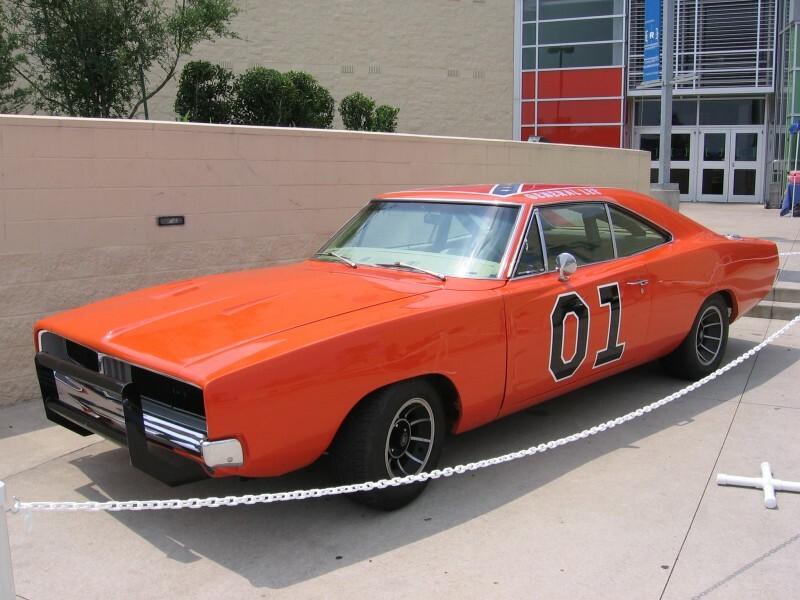 It was not exactly the Dukes of Hazzard car you see in the picture above, but it was close. The car I saw the black man driving was orange and clearly modeled on the car in the photo. If you live in Houston and see this man driving this car, could you please leave a comment on this blog ? I know what I saw today was not a mirage. Yet it was the kind of thing you don’t believe you’re really seeing at first. The gentleman behind the wheel of that car is indeed free to drive whatever he wishes to drive, but he does seem a bit confused in my view. At the bottom of this post is the weekly round-up of the Texas Progressive Alliance. The TPA is a confederation of the best political bloggers in Texas. With the round-up this week comes a reminder that the final battle of Texas independence was won in the vicinity of Houston. The deciding battle of Texas independence was the 1836 Battle of San Jacinto. 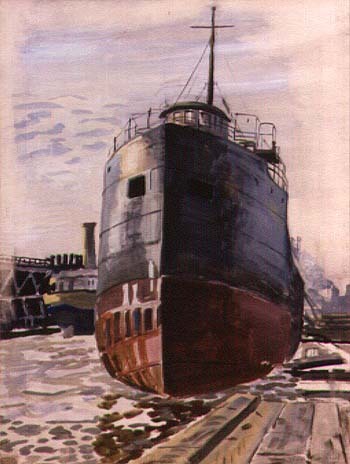 The water in the background of the painting is now part of the Houston Ship Channel. Here is a history of the Texas Revolution from the excellent Handbook of Texas Online. You can make what you want of Texas breaking free of Mexico and the subsequent history of Texas, but I’d just like to make the point that critical points in Texas history took place in the Houston-area, along the Texas Gulf Coast and in the interior of Texas not far from the coast. I’m telling my liberal and Democrat friends that Texas is a lot more than just Austin. I get tired of an Austin-centric view of Texas. The Houston-area is a center of Texas history and Harris County is moving into the Democratic column. Let’s consider Texas as a whole and not just one place. I got a card in the mail yesterday from the Harris County Tejano Democrats. This group wanted to let me know who they were supporting in our 2009 Houston City elections. Here is the web home of the Tejano Democrats. The web home could use a little work. Go to where it says “endorsed candidates” or “meet the officers” and you’ll see what I’m saying. People make mistakes all the time. I make mistakes all the time. Yet if you have a political website up two weeks before an election, please get it right. I’m happy to hear from the Tejano Democrats—But I think I’ve been racially profiled. Though my last name is Aquino, I’m not Hispanic. The name is Italian. On the side of my family not from Italy, I’ve got people off the Mayflower. Maybe the Tejano Democrats sent out the card to all people in Houston who are of immigrant stock. The Tejano Democrats endorsed Gene Locke for Mayor of Houston. Who knows? It does not say at the Tejano Democrats site why they endorsed Mr. Locke. Could it be they endorsed Mr. Locke because he has been addressing issues of great importance to the Hispanic community in Houston? No—The idea that Mr. Locke has been addressing issues of great importance to anybody is as likely as is me being Hispanic. Mr. Locke, a Democrat, has been running around trying to get Republicans to vote for him in this election. I’m not sure I want to know why the Tejano Democrats endorsed Mr. Locke. It is quite possible that the process was not very inspiring. 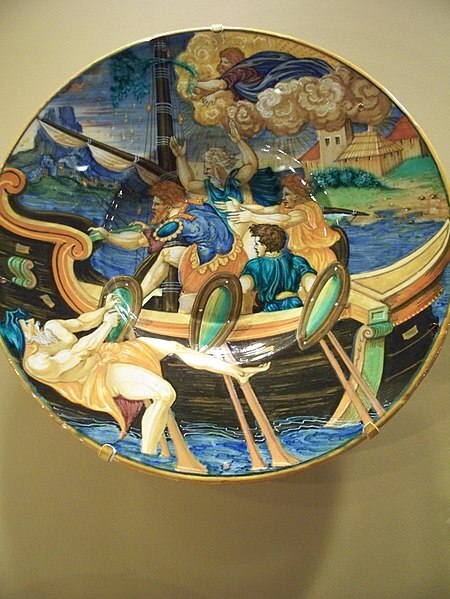 Anyway, if there is a meeting of the Very Liberal Italians of Harris County taking place anytime soon, could someone please get in touch with me. I’d be happy to attend. A good thing about having a blog is that you never know who will link to one of your posts. Earlier this week I was linked to by Mr. DeMink’s social studies class. Mr. DeMink linked to a poem I ran on the blog by a Japanese immigrant who came to Hawaii to work on a sugar plantation. Mr. DeMink’s class is a seventh grade class somewhere in Hawaii. You Must Pass Both Semesters to Pass Seventh Grade: Yes you heard that correctly, if you fail the first semester you have to repeat seventh grade–even if you get an “A” in the second semester. You will earn a half a credit for each semester and if you don’t pass the first semester you will be half a credit short of moving on to the eight grade! All Projects Must Be Completed and receive a Passing Grade: If you decide that you are not going to complete a project you will not receive a grade for social studies class. YOU MUST DO AND COMPLETE ALL OF YOUR WORK AT A QUALITY LEVEL TO RECEIVE A GRADE! All Projects Turned in Must Be of Quality: Every project that you turn in must first pass a quality checklist in order to be graded. If it does not conform to the quality standard then it won’t even be graded. Parents Must Sign off and Explain why each Project is a Quality Piece: One of the steps in each quality checklist is parent approval of the project. For each project you must have a parent sign and explain why they think that your project meets the quality expectations required. You see here that Mr. DeMink is not playing around. Parental approval is required of work before it is submitted. Last week Texas Liberal was linked to by blog called Awearness. This is a blog run by fashion designer Kenneth Cole. It is written by Mr. Cole and a number of contributors. My post that was linked to was about the oldest candidates who have been nominated for President. The Awearness post considered the prospect of Hillary Clinton running for President in 2016 when she will be 69 years old. Who knew I’d ever be linked to by a fashion designer. It really is not so likely. Below is the Kenneth Cole ” New York Hole Hearted Satchel.” This bag will run you $258. I’m not sure I need one of those bags, but if it is your thing more power to you. People are free to look anyway they want in life. I’ve no notion of what it is like to be black. People of all colors dye their hair and wear wigs and toupees. And yet with all that said, I’ve never understood the desire to match a style of beauty or appearance that at core does not respect what some people are, and that’s never going to be consistent with the perfectly good way folks are born into the world. There is a “Progressive Coalition” of candidates running the Houston City Council in 2009. 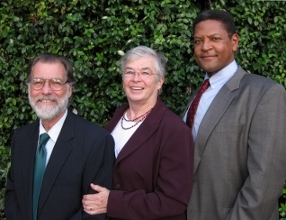 Dan Cook (Left in photo) is a candidate for At-Large Position #1. Deborah Shafto (Center) is a candidate for At-Large Position #4. Here is the web home of the Progressive Coalition. Houston political blogger Charles Kuffner conducted an interview with these candidates. · We want to give this international city the voice it deserves by using the “bully pulpit” of the Council to speak out on national and international issues that concern us as Houstonians: global warming, endless foreign wars, and poverty. · We support single-payer health insurance and Rep. Conyer’s bill H.R. 676, which would save the City of Houston $163 million a year. We believe the City of Houston should use its influence and resources to push for it, too. We urge the passage of this resolution proposed by Health Care for All Texas. · We support a city-wide mandated Living Wage. Given how many people in Houston lack health insurance, health care reform in Washington is very much a local issue. From listening to the Democrats running for municipal offices in 2009, you’d have a hard time thinking we have any liberals in our majority-Democratic city of Houston. Candidates with a message can make a difference even with little chance of winning. They can shape the debate and put issues on the agenda that might otherwise be ignored. Politics are at core about imagination. Something undone is seen as needing to be addressed, and plans are made to get the work done. If you’re lucky, it is an agenda that matches your own that is imagined and completed. If you’re a liberal or progressive in Houston, you may have a long wait until issues of importance to you are taken up by Democrats running for city office. Many of these Democratic candidates are good people. But low turnout in city elections, and a history of few and low expectations by the Houston electorate, make strong liberal and progressive action unlikely from Houston City Hall. It is up to us as citizens to change these expectations and to insist upon more. If this is not possible in our majority-Democratic city in the age of Obama, where and when will it be possible? The Census Bureau says 15.8% of Americans live in poverty. This is up from a 13.2% “official” estimate that the Census Bureau announced last month. The difference is that the new number reflects medical expenses, transportations costs, child care costs and geographical differences in the cost of living. It is no surprise to me that one in six Americans live in poverty. Where are people going to get good 40 hour jobs with good benefits in this society? I’m glad that President Obama is addressing the issue of health insurance. After he makes progress on that concern, he should then address the issue of poverty in our nation. This tragic fact of poverty in our nation is hardly a political issue at all. Where is the President? Where are the Democrats in Congress? Where are all the bible-thumpers? Where are the so-called good people? Where are the so-called liberals? Predictions are that a lower percentage of Americans will fill out Census forms in 2010 than did so in 2000. As for people in hard economic times, please realize that the Census helps areas that are worst hit by the bad economy to get federal aid. It will only help yourself and your family to fill out and return the Census form. As for you right-wingers, please obey the law and complete the Census. If the government wanted to track you down,they could do so in any case. You folks are so often all about law and order and respect for authority and all that stuff, until it is you that has to follow the law and do what is expected of you.